Like a lot of young Americans, Kutztown’s Madison O’Neil grew up loving Star Wars and Lego. Now he is headed to Denmark to design Lego Star Wars characters. Design by Maddy O’Neal, done for fun, before he got the job! I last wrote about Maddy in 2013 when as a new BFA grad he took an odd career detour to become a ranch hand. Maddy’s new official job title: Character & Graphics Designer, LEGO STAR WARS. Madison O’Niel was a ranch hand at Vista Verde in Colorado. 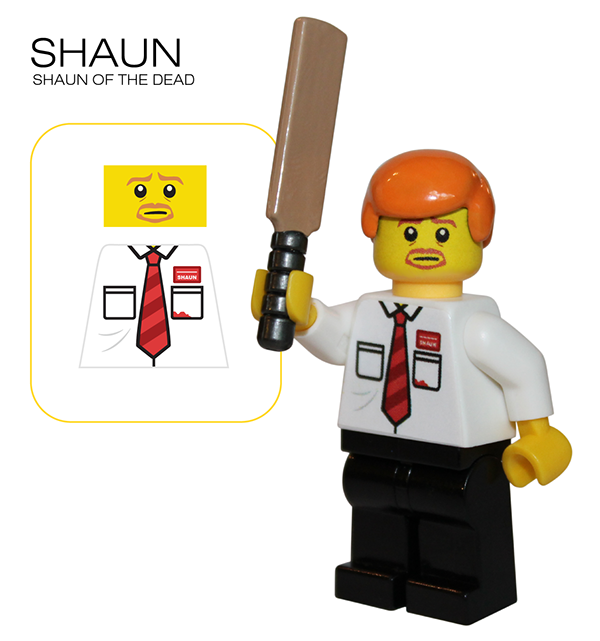 He starts work on February 22, 2016 at Lego, Billund, Denmark. He doesn’t even have a place to live. He and girlfriend, Megan Blair, also a talented KU design grad, found a Bed & Breakfast a short bus ride from Lego HQ. There are already 2 KU Communication Design grads working at Lego, Austin Carlson and Lauren King. Maddy interned at Crayola and met Lauren there, before she, herself, took off for Denmark. Lauren alerted Maddy to this job opening. It all happened fast. For the past few years he’s been a designer at the quirky online store Think Geek. He flew to Denmark for the first time over Thanksgiving. Maddy explains,”I prepped an online portfolio, had a skype interview, was flown to Billund, Denmark for a series of interviews and design workshops, and got the job a week or two later. ” He told my illustration class he was one of a dozen candidates flown in from all over the world for the interview. His interview in November included hands-on tests. He and the others were given a table full of Legos and told to create specific scenes and characters on the spot. Maddy says it was fun, stressful, but fun! Maddy was ready. In fact, he had packed his suitcase with these tiny characters from cult movies and TV shows including Game of Thrones, Firefly, and, of course, Star Wars. Note all Maddy’s creations in this post are totally unofficial and not available in stores. He custom prints stickers and fabricates props to adorn off-the-shelf Lego people. All rights are retained by the original creators. Lessons from Maddy: Network, Build a great portfolio web page, and Looooove what you do! Note: My new book, The Real Poop on Pigeons is available for pre-order on Amazon, at the discount price of $8.88. The first review was good, and it is a selection of the Junior Library Guild. I am exhibiting artwork from the book at Kutztown U in April and at The Hoboken Historical Museum in June. More details to come soon. Next > Serious Comics, Deadly Serious.